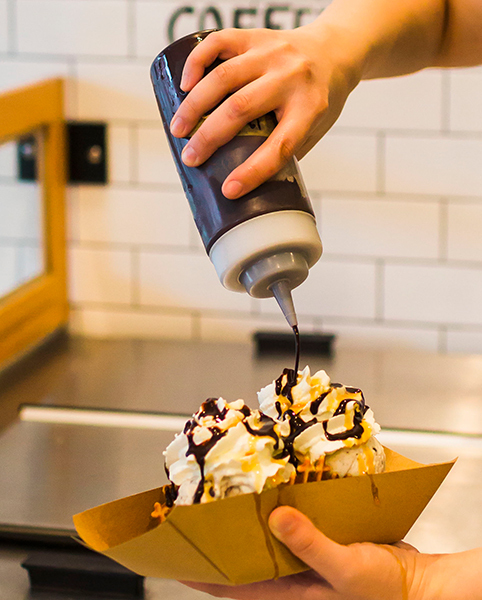 All catering is prepared by our staff pre-scooping the ice cream at our FW location in individual cups/lids to ensure the best experience for your guests on site! We provide staff, cups, spoons, and ice cream! Choose from our always flavors at 4.00 a cup with an additional on site fee. These prices are available within a 20 mile radius. Events with the happy cart must be booked two weeks in advance. A minimum of 100 servings must be purchased for us to book an event date with our happy cart. For orders that are less than 100 scoops we can offer cooler pickups! These orders will require a 48 hour notice. Want the happy cart at your business or event?Fill out the following form and we will get you signed up!